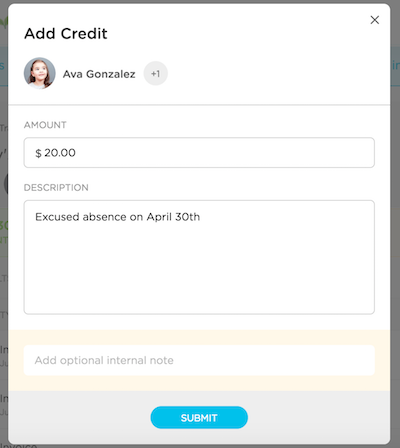 If you need to issue a credit to a parent (the example used here is an excused absence), you can go into the family's billing account to initiate a New Transaction. You can also edit or cancel any credits issued in the family's billing account. 5. Fill out the amount and any relevant details and click "Submit"